Reverse spin, triple pump, reverse dribble, stutter step with twist to the left, stutter into jumper, blind pass. These are me. The moves make the man. The moves make me. Jerome Foxworthy — the Jayfox to his friends — likes to think he can handle anything. He handled growing up without a father. He handled being the first black kid in school. And he sure can handle a basketball. Then Jerome meets Bix Rivers — mysterious and moody, but a great athlete. So Jerome decides to teach bix his game. He can tell that bix has the talent. All he’s got to do is learn the right moves…. 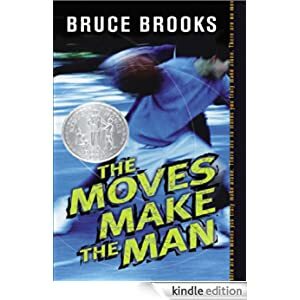 This sports novel is for teens and is selling for only $1.99 today.